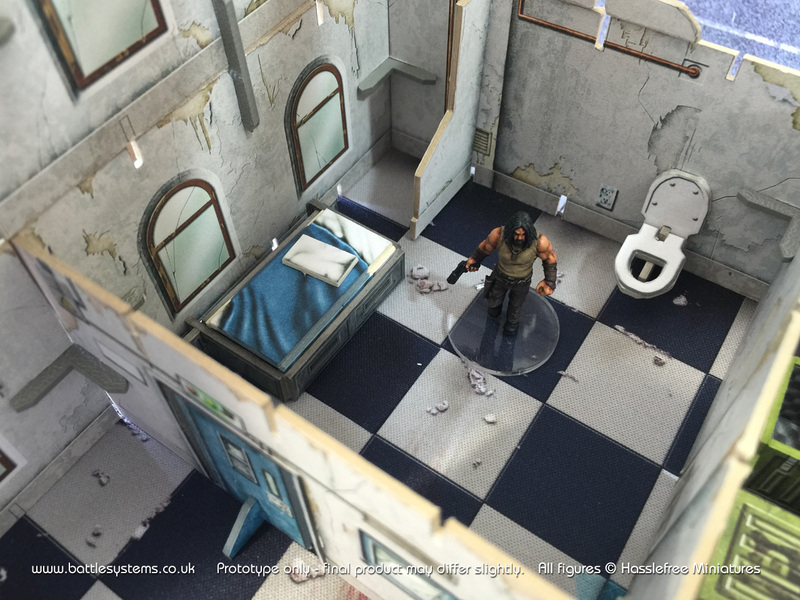 We’re now one week into our URBAN APOCALYPSE KICKSTARTER and going strong. We actually hit our funding target within the first 23 minutes! 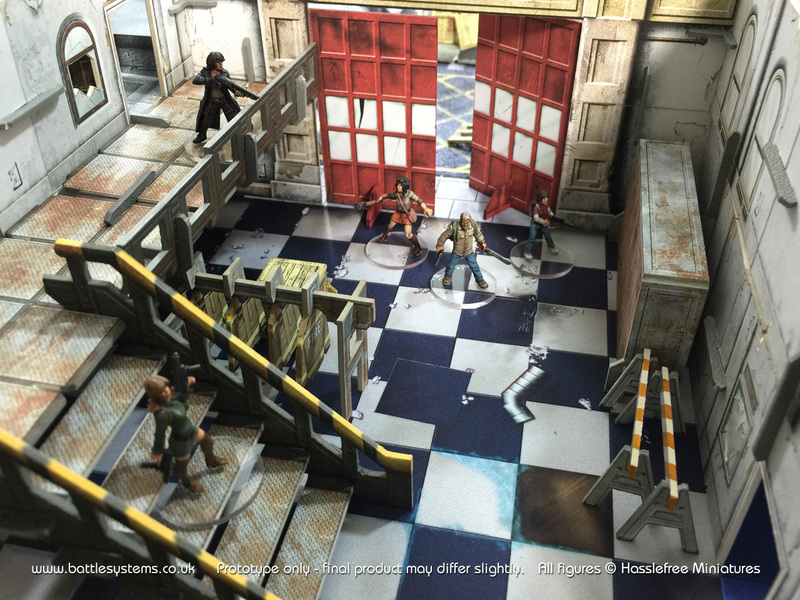 The rest of the campaign will be spent unlocking purchasable add-ons, new items and FREE stretch goals. 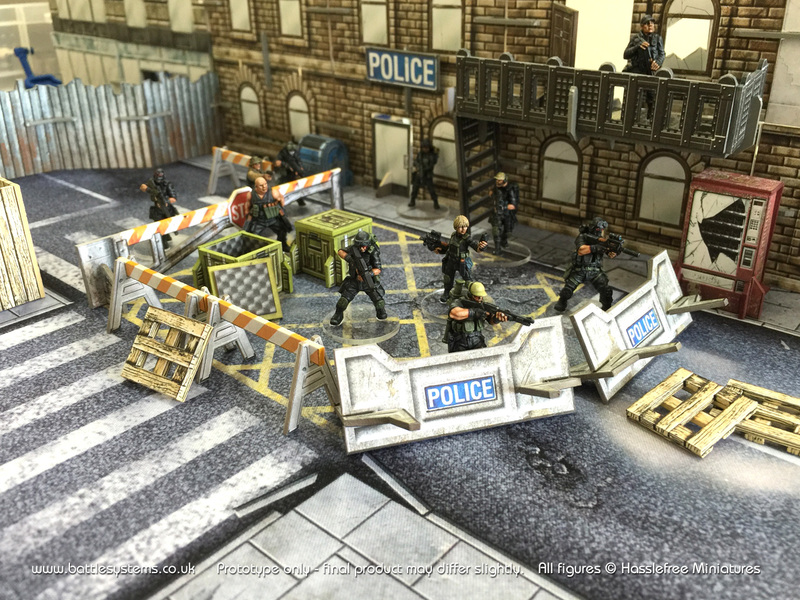 So far we’ve unlocked one exclusive add-on – an add-on that’s not part of the base set – the Police Precinct, and we’re very close to unlocking the Fire Station. Both are perfect for expanding the main terrain. Last stand! Wait until you see the gloopy mess of their eyes! This jail cell has the last working toilet in this urban hell. Now to find the last remaining toilet roll! The offices of a busy Precinct. That paperwork still needs to get done! Who ya gonna call? 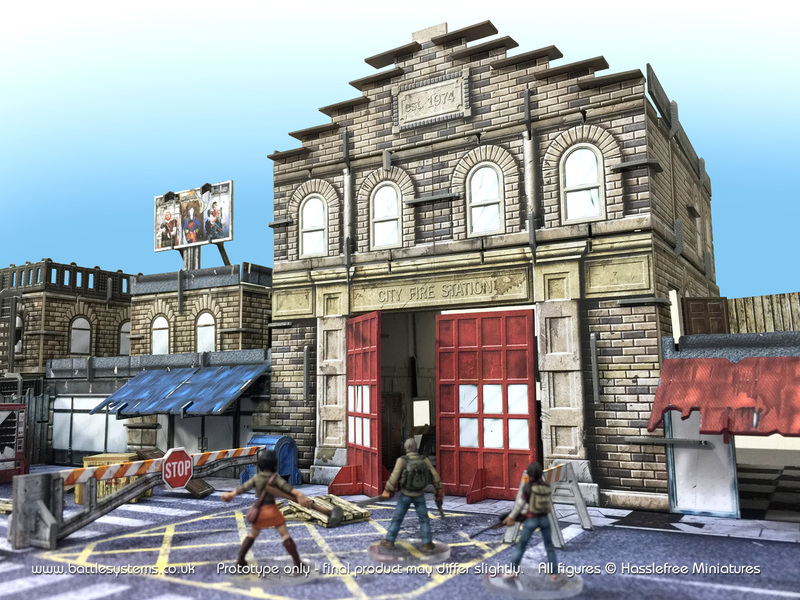 The Fire Station is ideal for many scenarios and game systems. Plenty of stuff inside the Fires station, lockers, stairs, gantries, railings… coat rack?? 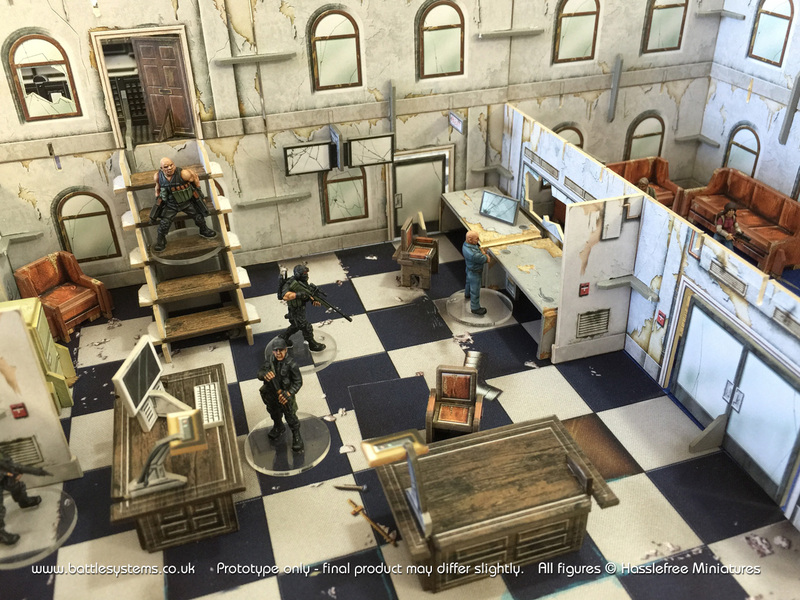 The Urban Terrain is perfect for zombie games such as Zombicide, Across The Dead Earth, Bullets and Brains, amongst many others and more offbeat games with a modern/urban or near future feel such as Terminator Genisys The Miniatures Game, Alien v Predator, Pulp City, Mars Attacks, Heroclix and the Batman Miniatures Game. If you want to stay up to date with our latest developments just click here to subscribe to our (sporadic) newsletter or email us at info@battlesystems.co.uk and type ‘news’ into the subject line.